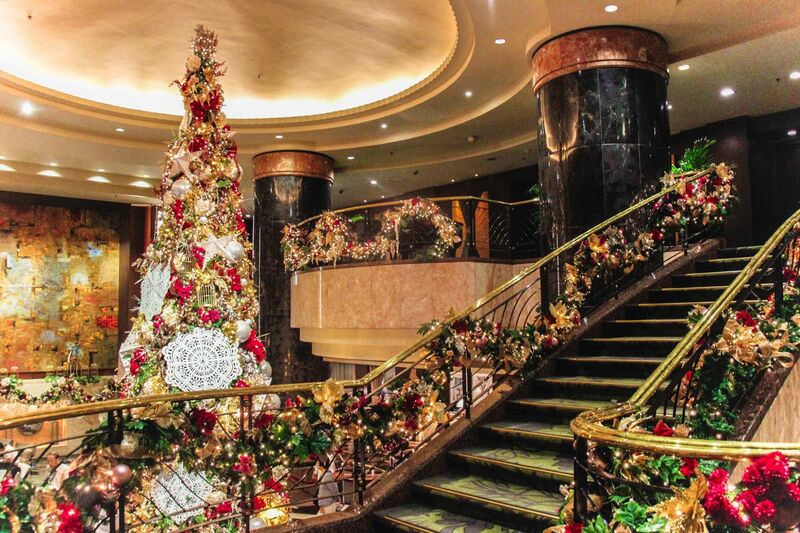 The Yuletide season is just right around the corner and these establishments have already put up their Christmas trees. Adding warmth for the hearts is the fact that some of these come with a charitable effort. Find out more about them and see for yourself on the holidays with friends and family. This year’s theme is A Storybook Christmas for all the kids and the kids at heart. Edsa Shangri-La let guests travel back in time to heartwarming Christmases of their childhood memory during its tree-lighting ceremony. Leading the heartwarming event were Amit Oberoi, Edsa Shangri-La, Manila’s general manager, together with special guest, the honorable Charisse Abalos, councilor of Mandaluyong city, with the presence of the children of Isla De Cocomo, the beneficiary of Edsa Shangri-La, Manila’s Embrace program for the past 22 years. The hotel is festively adorned with red, white, and green ornaments, colourful candy-inspired decorations, Santa houses filled with Christmas goodies, and the illuminated giant Christmas tree with red and white motif. This season of giving, the hotel continues its "Share Love Share Christmas 360° Corporate Social Responsibility campaign benefiting the children of Bahay Pag-asa in Muntinlupa City. A portion of the proceeds from Crimson Hotel's holiday room packages and dining programs will support the children. This mesmerising Christmas Tree at Diamond Hotel Philippines stands 25 feet tall at the lobby. It is elegantly adorned with sparkling crystals and festive Christmas balls and flowers accentuated in blush, red, and golden hues. The whimsical decorations were inspired by the hotel's charity of choice. Guests are encouraged to donate at least Php 300 for Kanlungan ni Maria and, in return, will receive a Christmas ornament that they can hang on the Charity tree at the lobby. Kanlungan ni Maria is a non-stock, non-profit organisation with a mission to provide adequate and sufficient home care, basic and medical needs for the abandoned, sick, poor and homeless elderly. Create lasting moments with your loved ones at Makati Shangri-La, Manila and relive a timeless Christmas at Santa's workshop in the hotel grand lobby. The hotel's trees are quite simple but a Christmas tag for Php 500 in exchange of a gingerbread cookie will make it more meaningful colourful and most especially for Makati Shangri-La, Manila's charity of choice, children with critical illness that are part of EMBRACE kids program. The hotel supports medical, financial, and emotional needs of 16 children who are diagnosed with cancer and leukemia. Guests may personalise their Christmas tags by writing their messages for these kids. Welcoming the guests is the 45-foot high Christmas Tree in blue, silver, and gold-coloured Christmas balls that sees over Sofitel's holiday offerings available at the Le Marché de Noël (the Christmas Market). Moreover, discover a wonderland of seasonal adornments featuring a vintage propeller plane, hot air balloons, and the 25-foot French snowman named Pierre. During the tree lighting ceremony, the highlight is the handling over of a Php 500,000 check to the Virlanie Foundation raised from the recently concluded Sofitel Wizard Run. Virlanie Foundation is a non-government organisation that helps the street children of Manila. Conrad Manila officially welcomed the radiant holiday season with its highly anticipated lighting of its innovative Christmas tree art installation ‘Celeste Yule’ designed by renowned sculptor Impy Pilapil. The tree lighting ceremony also marked the official launch of the hotel's 'Carey Cares' advocacy campaign. The hotel’s lovable plush doll, Carey the Carabao, transforms into a collector’s edition in white and gold colour complete with Santa hat, available throughout the season. Guests may purchase the limited edition doll at any of the hotel’s dining outlets for Php 500. All proceeds will be awarded to the hotel’s partner charities and organizations that are committed to helping orphans, out-of-school youth, infirmed, abandoned and malnourished children. This year’s theme comes from the classic tale that brings a magical journey. The trees were adorned with enchanting and delightful toys, bringing guests nostalgia reminiscent of a classic book. On its 3rd year of the Wings of Hope program, guests are encouraged to adopt an eagle stuffed toy for a minimal fee of Php 650, with proceeds supporting the Philippine Eagle Foundation's efforts in preserving and looking after the National Bird. The Christmas trees in the main lobby of Solaire Reort and Casino are adorned with sparkling ornaments in classic Christmas colours, red, green, gold, and silver. This year, Shangri-La at the Fort creates a modern interpretation of the Filipino Christmas and its elements with multi-awarded artist Ryan Villamael at the helm of the design. He fuses his award-winning and intricate design philosophy of paper cutting and metal in this piece he fondly calls the Inclusive Tree. This take on Christmas' most well-loved element is comprised of multi-layered acrylic panels, detailed mirror cutwork with a silver mirror finish, representative of the traditional patterns found around the Philippines. At the main atrium of S Maison stands the towering winter-themed Christmas tree. With twigs and lanterns and a 2-D fence around the tree shaped like a Christmas village, S Maison transports its mallgoers to winter wonderland.